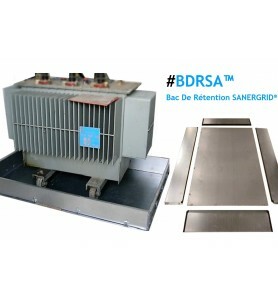 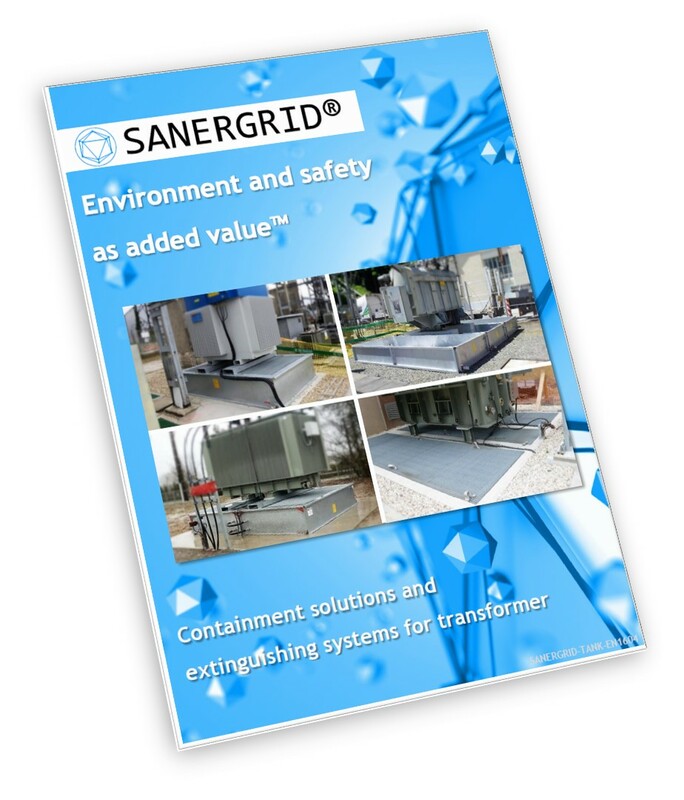 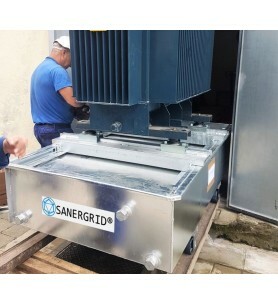 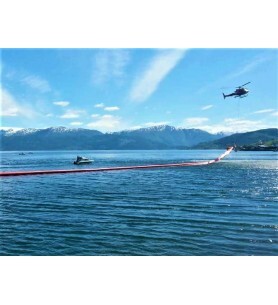 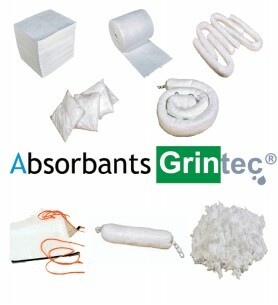 SANERGRID® ERT® product range allows you to comply with all regulatory and technical requirements regarding retention, fire suppression and oil spill. 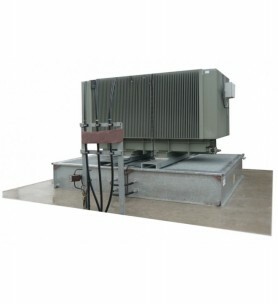 ERT® tanks are mainly used in the field of electrical transformer oils but they can also apply to any equipment containing non-explosive hydrocarbons. 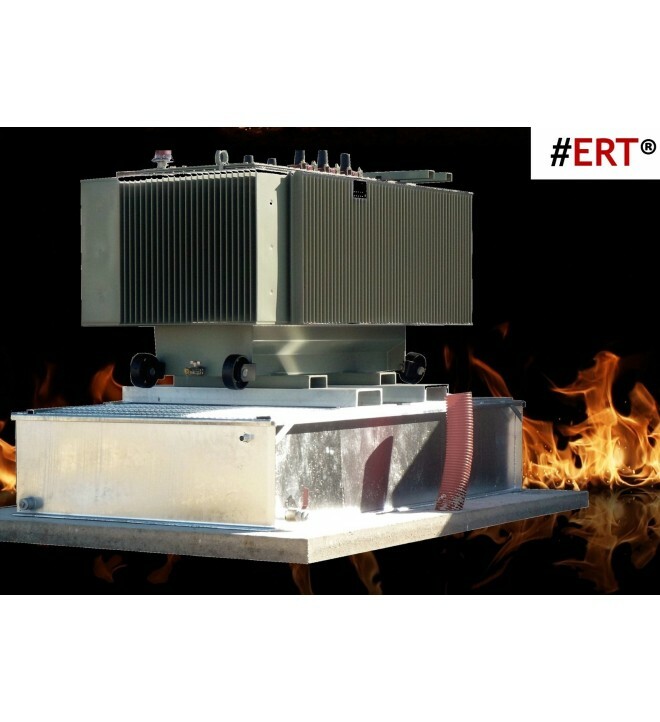 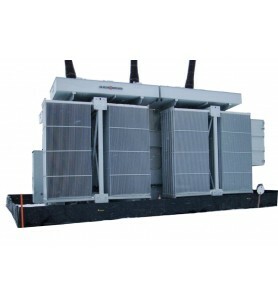 The range ERT® is designed to prevent hydrocarbons pool fire risk for electrical transformers. 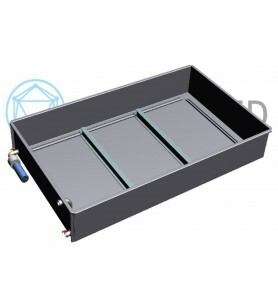 Indeed the range is equipped equipped with a patented fire suppressing system of metal baffles across the top which will eliminate traditional systems such as pebble beds which become polluted and are not particularly effective and also take up part of the bund containment volume. 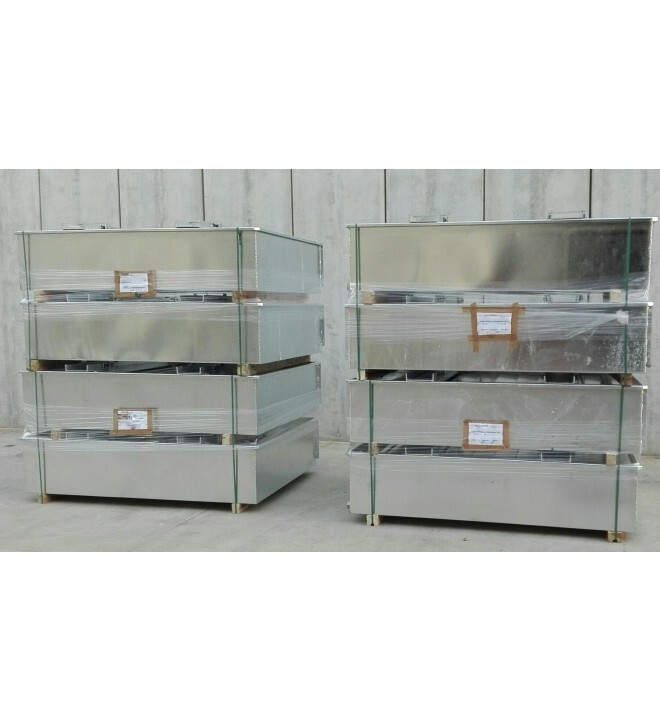 The metal baffles are close spaced but will allow liquid through so that oil and rainwater can run into the tank, but in case of a fire the close spacing means that insufficient air penetrates and oxygen depletion occurs causing the fire to suffocate and extinguish. 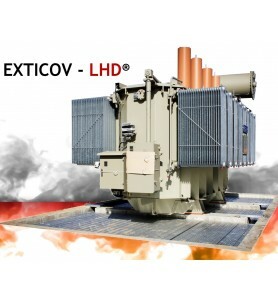 Moreover this fast suffocation capacity decrease the probability of thermal runaway into the tank, which is very important in hydrocarbons fire, and make this extinguishing system so efficient, natural and simple, by acting simultaneously on 2 of the 3 component of Fire Triangle. 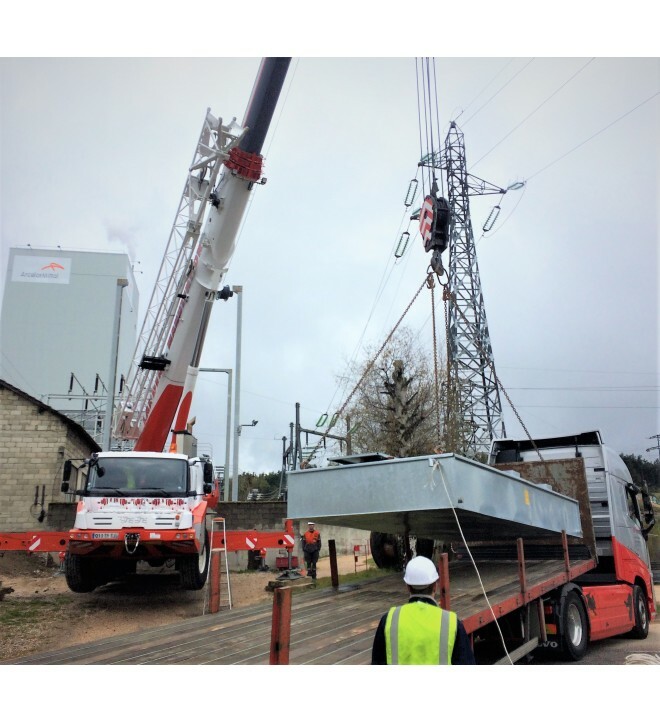 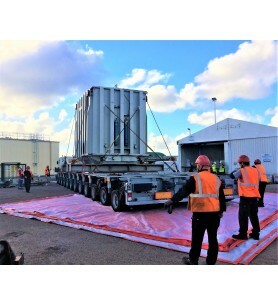 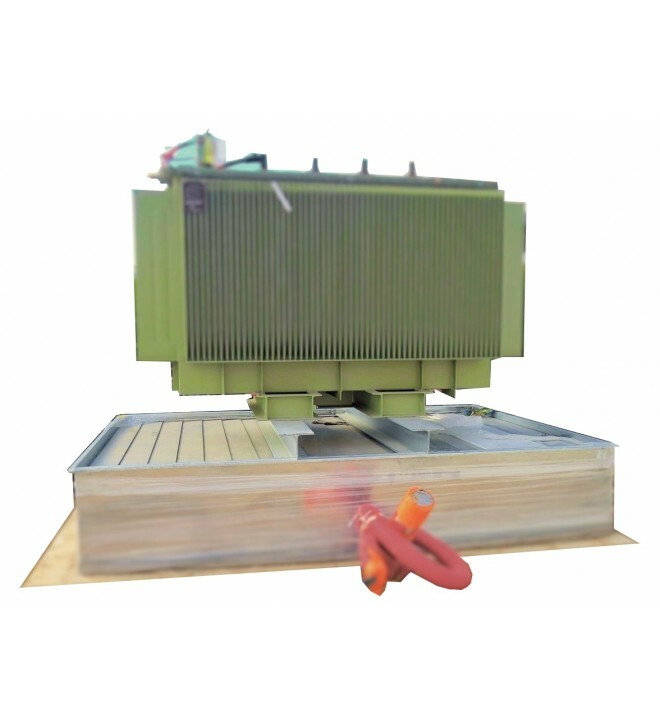 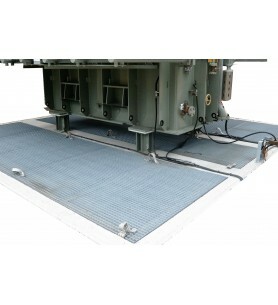 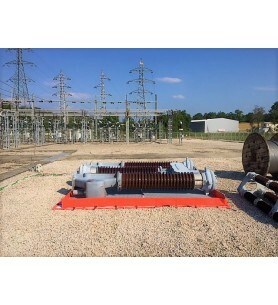 We also provide several optional items such as clamping braces to fix the tank and the transformer beams, silent blocs to reduce vibrations or hydrocarbons fire extinguishing fuses. 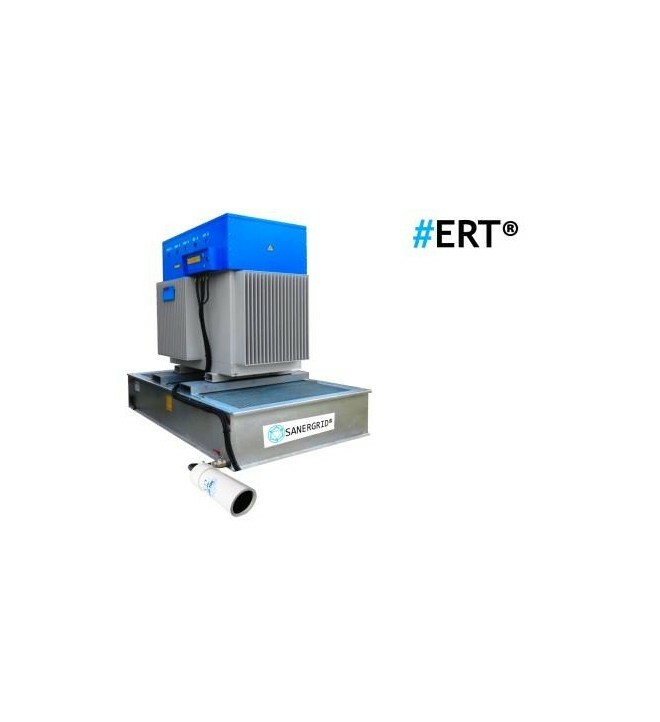 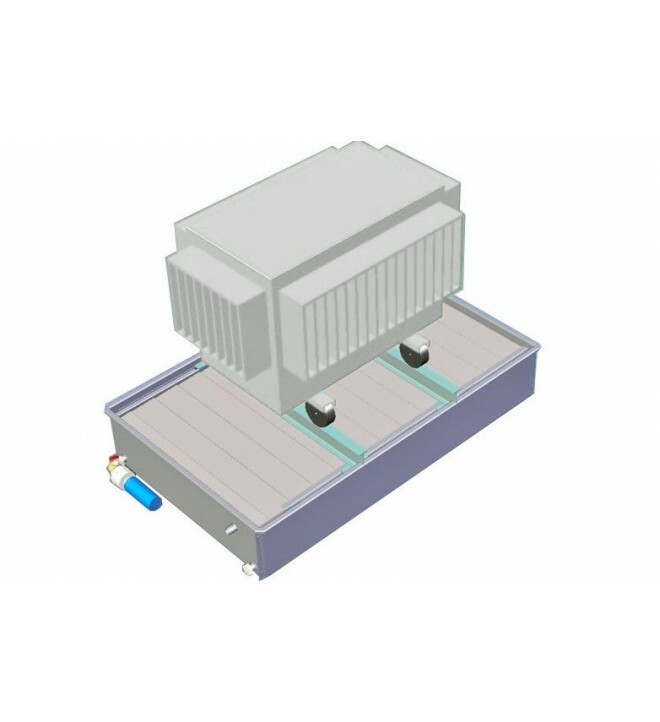 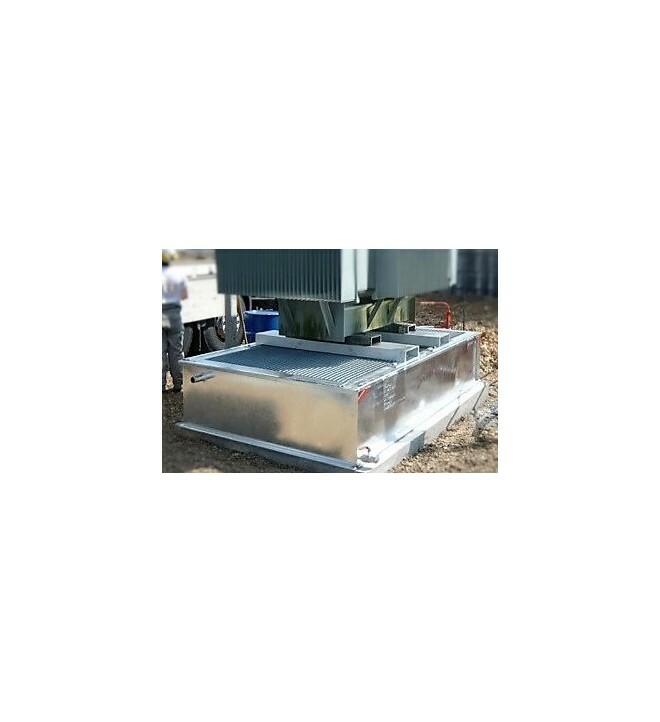 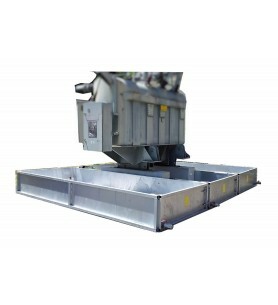 The ERT® standard version comprises in a series of hot-dip galvanized steel retention tanks that ensure service life that is equivalent to the service life of electric transformers or any other machine they equip in an indoor or outdoor environment. 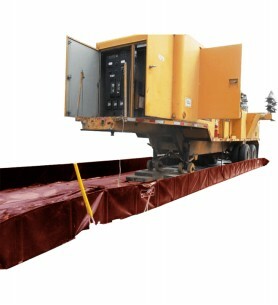 A security siphon trap is also available on every ERT®. 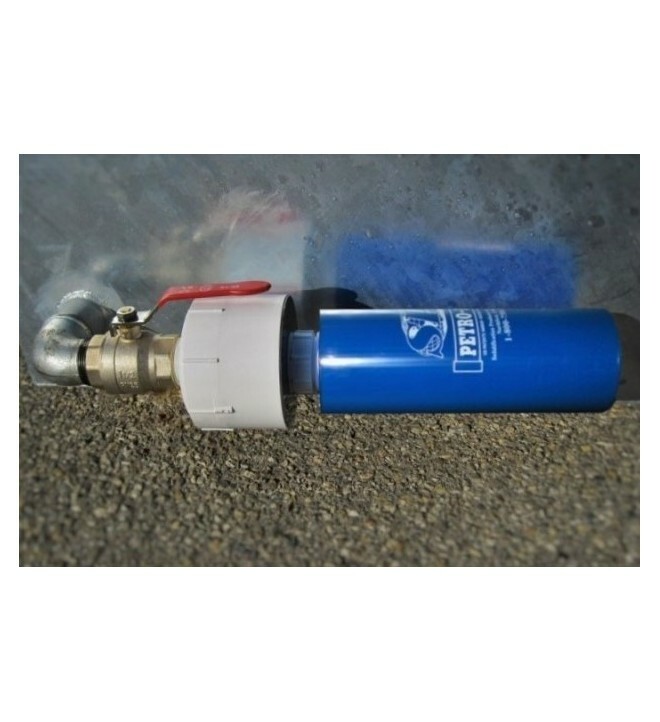 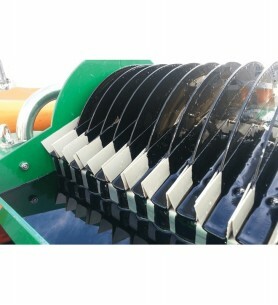 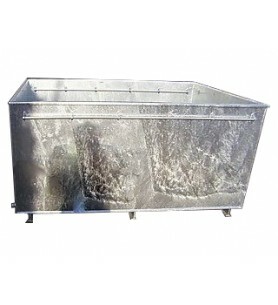 It is adjusted to collect the water at the bottom of the tank in the event of heavy rainfall and/or a filtration issue in order to retain the oil while evacuating excess water.At the bottom of the tank, two watertight stainless steel tappings can receive 1.5 inch stainless steel valves: a draining valve and an extra valve to install our SPI® Petro-PIT® kit that will ensurehydrocarbons contaminated rainwater filtration and continuous discharge of pollution free rainwater.